- Part of your job will be to interact and socialize with the guest in a welcoming and friendly manner. - All meals will be taken along side the guests in the common eating areas. - Each team has 1 dance captain, 5 dancers and 2 Special Acts (1 singer and 1 aerialist/ acrobat). 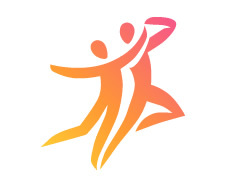 - The Dance Captain is responsible for the Shows and Fitness Wellness program. She/he is organizing the rehearsals, teaching the choreography and performing the show with the rest of the Dancers. - Dancers are responsible for daily fitness wellness activity (Aerobic, Pilates, Step Aerobics , Zumba....) each dancer has 2 or 3 (45 min) classes. - After the evening shows end, you will you will be socializing and dancing with the guests. - Dancers are responsible to create a fun and social atmosphere during this time by interacting with guests. - The last part of the day is the disco. All entertainers are joining the disco together with the guests until 00:30 (12:30am) when your day finishes.